The Apple iMac is one of the most powerful and innovative desktop computers available in the market today. 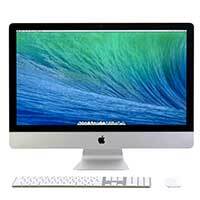 Great for students, professionals, families, and individuals of all ages and backgrounds, the iMac provides a fantastic way to keep yourself in tune with the rest of the world, as well as with your own individual passions. If you’ve never used an Apple iMac before, or are completely unfamiliar with Mac computers in general, then they can seem somewhat overwhelming your first few times around. Our iMac training in Naples course is a great place for beginning Mac users to grow accustomed to their new systems in a non-intimidating environment, as well as existing Mac users to get acquainted with new operating systems and updates as they are released. Please contact iHelp for friendly and knowledgable iMac training in Naples, and click here to view our current rates. Register your email with us and get the latest on tips, news and upcoming promotions.